Moderator, please remove if posting my video is against forum policy. I have performed a test of my off-grid 800w system in the video link below. 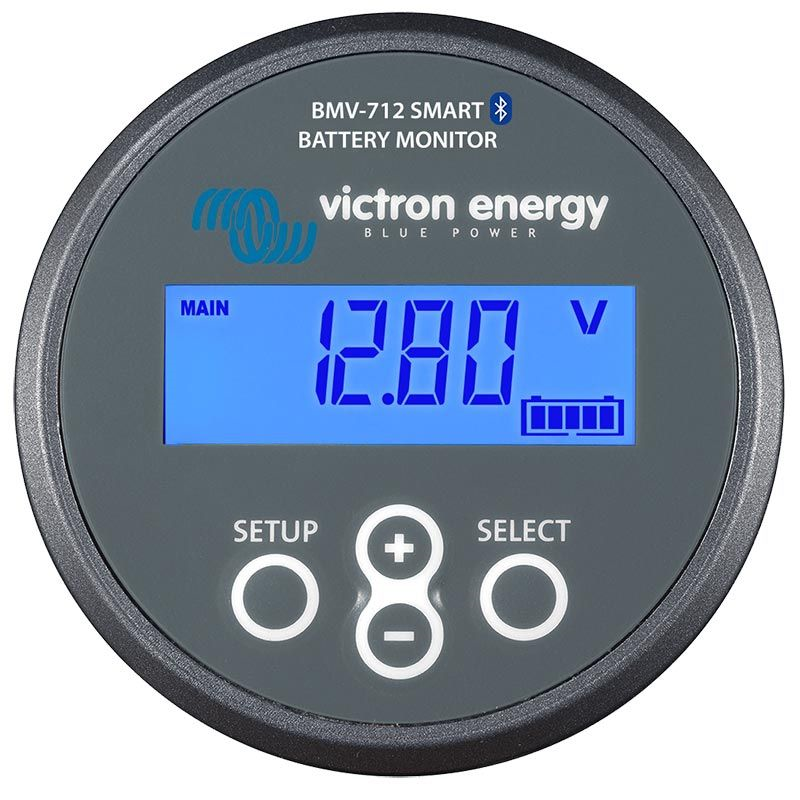 I know my method of using battery voltage to tract and determine system perform is low tech if not completely incorrect but all I have currently available. TriStar MPPT, 8 x 100w PV, MNPV6 Combiner, 4 x 12v 155ah VMAXTanks AGMs and GoPower 2000w PSW Inverter. 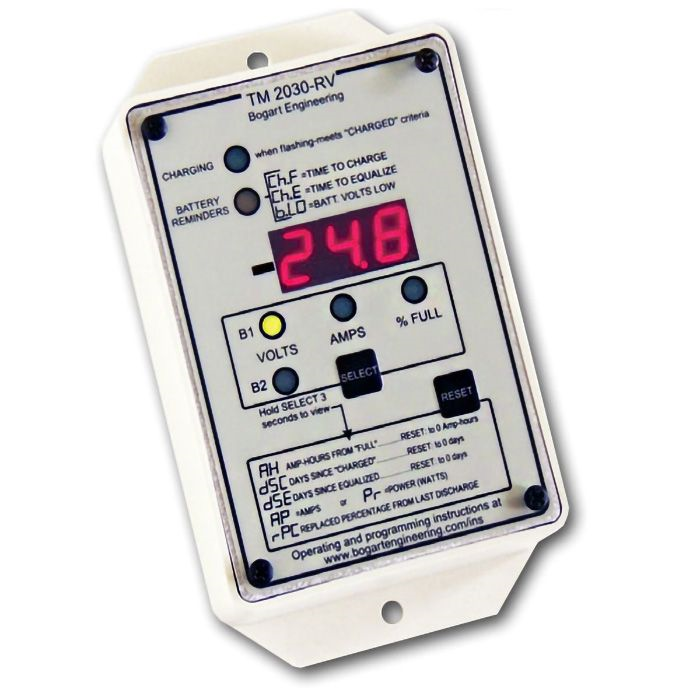 These type of meters use the current passing into and out of the meter and the variables you set to accurately measure the current SOC. So things like your battery capacity, type and voltage should be correct. 4 - 155 amps 12 volt batteries in a 24 volt configurations would be 2x155 or 310 amp hour 24 volt battery bank. It's almost always better to have more solar...lol. 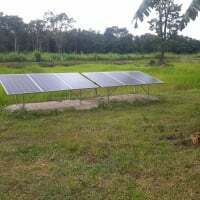 Panels produce about 75% of their panels rating, and most AGM can handle 13% of capacity at charging voltage, So a 1000 watt array could produce 750 watts ÷ 29 volts = 26 amps or about 8.3% of 310 amphour 24 volt battery bank. I personally don't like adding new batteries to batteries even 6 months old. So that would be a personal choice. Since the camper should be enclosed, I'd try running the dehumidifier for maybe an hour in the morning and 2 hours in the late afternoon. Should keep the humidity under control, I actually have lived in Florida and I understand what a 'Dragon' humidity is there. The dehumidifier is 5A at 120VAC is 25A at 24VDC, so every hour on it consumes 25 Ah, not including inherent losses, the 800W array will produce less than that, 800 × 75% =600, 600÷28= 21.4A excluding losses. So basically the dehumidifier will kill the system if not used sparingly, very sparingly. For full time useage the PV is insufficient for the battery capacity, the very least should be 10%, approximately double the existing would be close to what's needed as a minimum. Adding battery capacity to support the dehumidifier will mean increasing the array capacity as well. For what it's worth AC is also a dehumidifier, difference is it dumps the heat and moisture outside rather than inside, the dehumidifier you have uses more than my mini split 8500 BTU 26 SEER unit. I have a chest fridge system that operates off monitoring battery voltage and it is quite effective. Your dehumidifier does not need to run all the time. I run my fridge with only a car battery and it needs to keep the battery at nearly full charge. I don't start the fridge till the battery is at least 13.4V indicting panels are seeing light. I run for 6 minutes and check the battery again. If it is not at least 12.6V I shut down. Higher I keep running for another 4 minutes, check again and shut down after 15 minutes regardless. This guarantees the inverter does not lock up from a possible low voltage condition. Restart has a 6 minute time out. This process has been running for years.